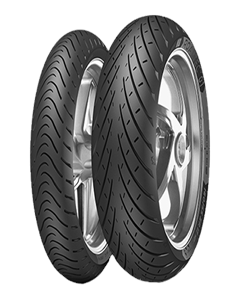 The employment of completely new tread design enhancing mechanical grip allowing for increased confidence and safety feeling while riding. New profile (larger and shorter contact patch) in synergy with the improved compounds ensure an extended product lifecycle. Tread grooves geometry and positioning grant long lasting performances. Structural elements fine tuning and Metzeler Interact technology promote adaptive behavior across a wide range of motorcycles and riding situations.